While Mammoth Lakes is the hub of activity in the eastern Sierras, many of the surrounding communities provide excellent jumping off points to activities and natural attractions that are not as easily accessed from Mammoth. For those looking for more peace and quiet, many of these towns also provide a welcomed rest from Mammoth’s crowds. Located just 20 miles north of Mammoth Lakes, June Lakes is known from its proximity to June Mountain, Mammoth Mountain’s sister resort. June Lake, the town’s namesake, is famous for its abundant trout fishing. In town, visitors will find a number of quaint restaurants, art galleries, and boutiques. This small community boasts big access to outdoor recreation, in fact, it is less than one hundred miles from the highest point in the continental United States (Mount Whitney at 14,495 feet) and the lowest (Badwater Basin at -282 feet). 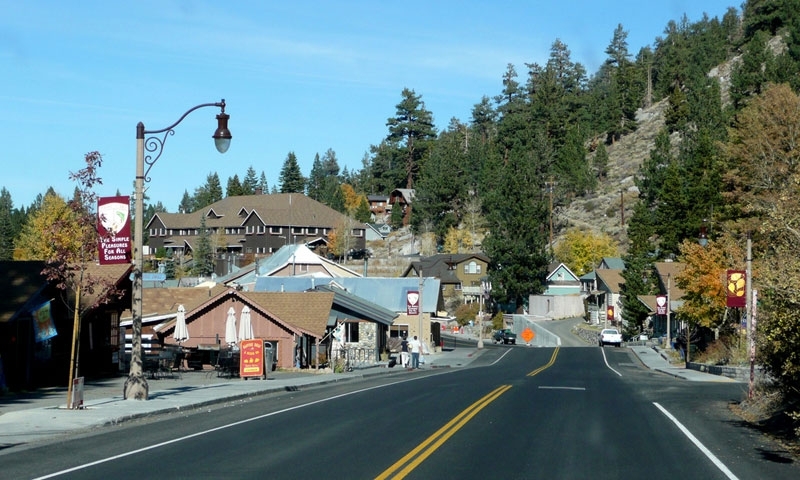 The town is also less than two hours away from Yosemite, Kings Canyon, Sequoia, and Death Valley National Parks. Lee Vining, located just minutes outside the eastern entrance to Yosemite National Park, is the perfect base camp for all adventure’s Yosemite. Independence is located in California’s Owens Valley, about 80 miles south of Mammoth Lakes. This small town is close to many exciting tourist destinations including the ancient Bristlecone Pines, the oldest known trees in the world, and Manzanar National Historic Site, a preserved internment camp that was once home to over 120,000 Japanese Americans during the second World War. Bridgeport is located just minutes away from the Twin Lakes Basin, one of the most popular recreation destinations in the eastern Sierras. It also provides quick access to Bodie Ghost Town, one of the most highly preserved ghost towns in the United States. Lone Pine is the perfect base camp for all your adventures in the Sierra Nevada. For those heading to Mount Whitney, Lone Pine is where you’ll turn off 395 to head to base camp. Lone Pine is also home to popular cultural attractions such as the Jim Rogers Museum of Lone Pine Film History.